Enjoy guaranteed results when you have an experienced plumbing services working on your home. For us, this is important. Here at OC Plumbing Pros, we pride ourselves for giving only the best service to our clients in a manner that does not hurt their pockets. Our Irvine plumber will respond immediately to your call for plumbing repair or periodic maintenance. Contact us if you do not know what to do with a plumbing leak in your home. This helps keep our overhead expenses down, and enables us to maintain the cost of our services at a minimum. We can also check the integrity of your whole plumbing system outside of the leaky portion to determine if they are still okay. Call us 24/7 at (949) 371-8413. Your Hot Water Heater Is in Need of Repair by a Plumbing Company? Call Us: We understand how you will feel when your water heater fails at some point. If it is fairly new, perhaps, it needs just a little tweak here and there to get it up and running again. If your water heater can be repaired on the spot, we won’t recommend that you buy a new one even though, in theory, we would have earned much more with the second option. While there, we can also see if you are not overloading or overusing your heater at all. Yes, you will spend money but it will likely not cost the same amount that is in your mind right now. Drain Cleaning Services To Keep Drains Open: Homeowners tend to overlook the importance of clean drains, until water backflows, refuses to go down the drain, or if at all, is slow to do so. Not only is this an eyesore, it is also unsanitary. But we are here to deal with things like this, using our high-tech gadgets and our expertise to safely and completely unblock the clogs from your drains. We do advice that you call us to check your drain before any such problem occurs. We Know A Leak Even If You Don’t See It, and We Repair It, Too! Call us and we will send our team anywhere in Irvine to diagnose and address the problem. Our aim always is to keep the costs for our customers to the minimum. For this reason, leaks must not go undetected for too long. If you feel that you consumed the same amount of water, there’s a leaky pipe somewhere. When you experience a sudden increase in your water bills, and as far as you know your water consumption is the roughly the same as last month, chances are, there is a leak somewhere. Emergency Plumber Irvine – Call Us Now! We Will Handle Your Re-piping or Pipe installation Needs: From replacing a burst water pipe in your Irvine property to rerouting pipes to accommodate building renovation projects, our experts can get the job done in accordance with safety standards. Look no further than our company, then, and receive expert advice on the best thing to do when your unit is in trouble. Call on us, too, if you want our skilled plumber to take care of your dysfunctional garbage disposal system, or put in place the unit you have just purchased. Our technicians did complete the necessary training to secure their license. Installing or Repair a Toilet: Just give us a service call, and immediately, our plumbers will come right over to inspect the toilet’s condition and fix it, if rendered practicable; otherwise, we will be honest in telling you to simply get a brand new toilet. The common sign is the noxious odor coming from a gas leak in the sewage or clogged toilet. Aside from that, a dysfunctional toilet can spell bad news for your health, too, especially if there is water leaking out of it in your home. Of all the DIY projects, homeowners won’t ever touch the toilet even if they want so much to save money. Round The Clock Emergency Services By OC Plumbing Pros: Here at OC Plumbing Pros, we understand that plumbing emergencies can happen when you least expect them, the reason why we make ourselves available 24 hours a day. Every call is processed right away although the estimated arrival time will depend on traffic and distance, of course. We can then send a team of technicians to your location as soon as possible. Feel free to call us, then, when you notice something is not right with your plumbing system. 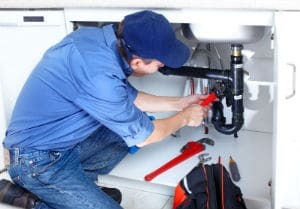 Connect With Our Irvine Plumbers Today! Our high-quality plumbers are equipped with the right knowledge to guide you on how you can make regular maintenance work to your advantage and prevent plumbing problems. We guarantee an experience like no other when you connect with our plumbing contractors today. All our technicians are trained on customer service so they can explain to you in layman’s terms the options available for you. Give us a call and let us talk more about plumbing repair and installation services at OC Plumbing Pros. Call us today at (949) 371-8413!